Vietnamese brands need to pay greater attention to investing in building their brand if they dream of great success. For the first time ever, Vietnamese football fans have seen a Vietnamese brand on the shirt of a Premier League club this season, with Saigon Beer’s logo appearing on the sleeves of Leicester City players. Saigon Beer’s logo also appeared for the first time on electronic advertising hoardings around Premier League pitches this season. The Vietnamese brewer sponsoring Leicester City surprised many other local brands, who all pursue one big dream: a presence in international markets. Vietnamese fans also saw the Saigon Beer logo on display at King Power Stadium, in the background when players were being interviewed, on electronic advertising hoardings, and when and where players and fans meet. Those buying shirts of players will also see the Saigon Beer logo. To become a sponsor of a top six club in the Premier League this season, like Manchester United or Tottenham Hotspur, brands must outlay from GBP35-45 million ($45.5-$58.5 million) for a full sponsorship package, and many also spend a couple of million pounds on sponsoring lesser clubs. The figure is much less if the sponsor’s logo appears only on the shirt and not elsewhere. The problem here is not really about money, but about thinking how to best promote and build the brand. A brand has a lot of value and this is indeed quantifiable. At some companies, where marketing plays a key role in building the brand, the intangible value can be quite high. There are many brand rankings in Vietnam and some outline the criteria they use in assessments. Unfortunately, most are unconvincing. If the definition of branding is vague, then the definition of brand value will be even vaguer. According to the latest rankings, Vincom Retail is an excellent brand and in the top 40 local brands, but the fact is that most consumers don’t necessarily know the brand but do know it retail chain Vinmart. The question here is whether investing in branding is effective or not. Let’s look at Vinamilk, a Vietnamese dairy brand and listed company, to see the relevance of such figures. According to the company’s financial reports, in 2017 it spent VND9.6 trillion ($413.6 million) on marketing, advertising, and promotion campaigns, a 7 per cent increase against 2016. On average, it spent VND26.5 billion ($1.14 million) each day on promotional expenses and commissions. These costs rose 7 per cent this year, while its revenue increased 9 per cent. Investment in marketing activities is one of the key factors behind the company reaching the No.1 position in Vietnam under many different criteria. Estimating Vinamilk’s marketing budget is quite simple - just look at its estimated revenue and tally up 10 per cent, which is what is always spends on marketing. 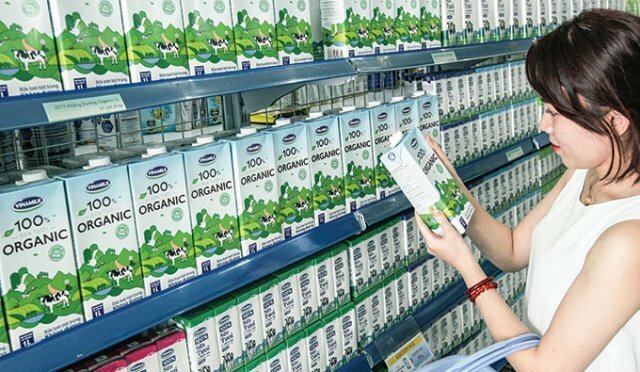 Other fast-moving consumer goods (FMCG) and well-known food brands are spending similar percentages, while others spend much less, like the Chuong Duong soft drink brand for example. Vietnam has so many products and services but only a relative few have brand names. The fact is that most companies either remain largely unaware of its importance or have invested inadequately in their brand. The first factor to consider is regarding products and services, with many Vietnamese companies rapidly capturing new trends and creating new options. But many lack differentiation, which is necessary in creating a competitive advantage and unique selling point. The second factor is about investment in marketing and branding. In general, there is no “right” percentage to invest because it depends on a host of factors such as the industry, the market, and the stage of brand development at the company. All businesses, however, need to spend a certain amount on marketing activities, and in Vietnam it seems many spend well under the average. This comes in large part from them not having any real competition in the market. But it’s nevertheless a major mistake, as circumstances can quickly change and if the brand becomes weak then resources are required to save it. The third factor is how to operate and cooperate with outside resources to properly implement marketing activities and branding. Some internal functions are quite strong but, over time, due to fluctuations such as brand growth, personnel, market changes, and competition, implementation becomes more complex. In this case, finding and partnering with professionals and marketing consultants is essential in ensuring the brand goes or stays on the right track and achieves high value. Few companies, however, take advantage of the services such consultants offer. Investing in branding is one of the key factors in a long business journey. Vietnamese brands need to pay more attention than they are now, as the role of the brand is indispensable if the target is becoming a million or billion-dollar company.